Allen Custom Homes | Fantastic opportunity to buy in acclaimed Lovejoy ISD. Newly replatted, this building site is a welcomed 1.2 acres. Outside the city limits and no HOA gives this property lots of possibilities. Lot 1 is 1.207 acres and is the northern lot. From 75 and Stacy Rd, east on Stacy Rd. Right on 1378. Right on Rock Ridge. In .2 mi, property will be on your right. 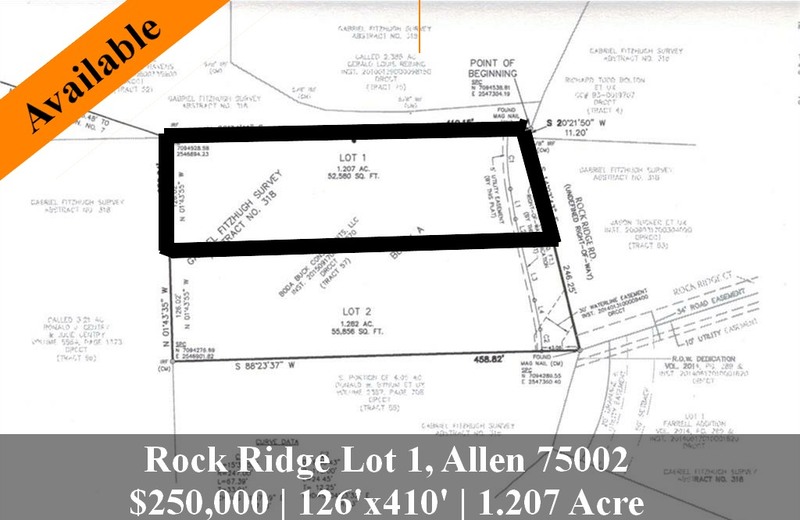 2 lots adjacent, formerly 2355 Rock Ridge Road.